Manufacturer of a wide range of products which include cebora plasma torch, cut 60 plasma torch, ep plasma torch, fanyang 200 plasma torch, jg 100 plasma cutting torch and kjellberg mechanized plasma torch. Duty Cycle: 60% @ 60 Amps. The cutting thickness of this torch is 0.5mm to 40mm.Keeping the pace with market needs, we are betrothed in providing precisely engineered EP Plasma Torch in various specifications. Under the vigilance of our seasoned professionals, the offered torch is manufactured by making use of premium quality components and advanced technology under the strict supervision of adroit technocrats in sync with defined industry norms. The provided torch is effectively used for cutting various metal parts. In addition to this, clients can avail this technologically upgraded EP Plasma Torch from us at the lowest prices. 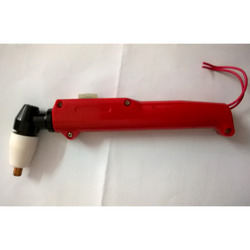 We are the suppliers of Fanyang 200 Plasma Torches and consumables. This is a water cooled torch of 200Amps. The cutting thickness is 50mm. 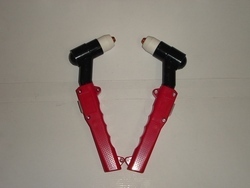 Ther are two types of torch available hand as well as machine torch. These torches are air cooled and water cooled torch. 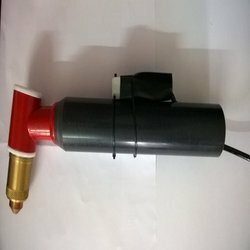 We are the suppliers for JG 100 and 250 Plasma cutting Torch.The cutting thickness of this torch is 0.5mm to 100mm.This is a water cooled torch. 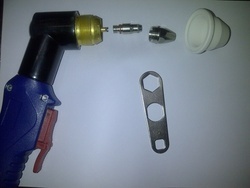 Consumables included are Torch Head, Electrode, Nozzle, Shield Cup, Swril ring etc. The output current is 100 Amp. • Structural components for vehicles . • Pipes and containers . • Hollow profiles, open and closed profiles as well as bulb flat profiles . Dished bottoms Robot-guided plasma cutting offers the following advantages. • High cutting speeds . • High cut quality, almost no rework required . • High flexibility in application. • Straight version with 60° angled torch head . • Straight version with 90° angled torch head . Positions 2D and 3D positions. The PA-S series is based on conventional step-switched power sources which are ideally suited for automated cutting tasks with machine torches in combination with 2D guiding systems and 3D robots, but also for manual use with hand torches. 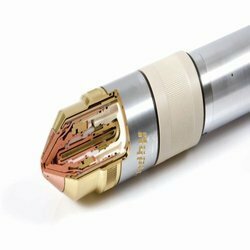 We offer straight standard torches and special touches with short shafts as well as torches with a 60° or 90° angled torch head. It is possible to perform contour and straight cuts as well as bevel cuts up to 60° and interrupted cuts in all 2D and 3D positions. A wide range of accessories is available for the hand torches which make it easy to perform many diverse cutting tasks. Both the machine and hand torches can be quickly converted for plasma gouging. Plasma gouging is ideal for eliminating welding defects, cracks, cavities and inclusions for preparing for back welding. 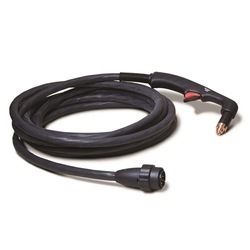 We are the suppliers for P160 Plasma cutting torches and consumables. The cutting thickness of this torch is 0.5mm to 80mm. 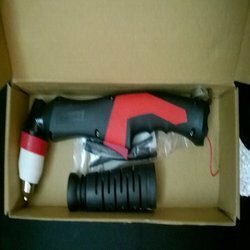 It is a water cooled extended Plasma torch. 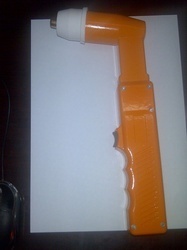 We are the wholesaler for these torches and can provide them at competitive prices. These torches have a long life and good in quality. 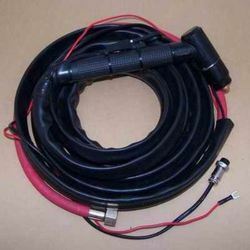 The output current of this torch is 160Amp. 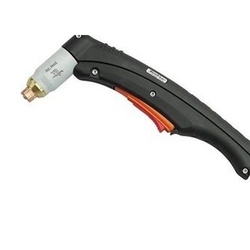 We are the suppliers of Panasonic Plasma Cutting Torch. 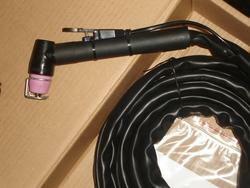 We also provide consumables of the P80 Panasonic Plasma Cutting Torch. The cutting thickness of this torch is 0.5mm to 80mm. 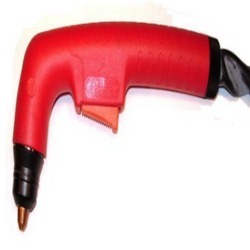 We are the suppliers of Plasma Arc Cutting Torches and consumables. The cutting thickness of the torch is 0.5mm to 40mm. Available in air and water cooled type. Our consumables for plasma cutting system ensure optimal performance. Our torches and consumables have the latest performance enhancing technologies and are machined to the highest quality standards. High resistant to cut, wear and abrasion. Resistant to oil, solvents and chemicals. Available in standard size of 7 meter (available even upto 30 meters). Available 40 A drag tip - industry first. Less than 30 parts can replace over 575 different consumables used over a broad range of plasma systems. Bend relief protection at exit of torch handle for improved torch lead durability. An extended Tip for greater visibility and control. 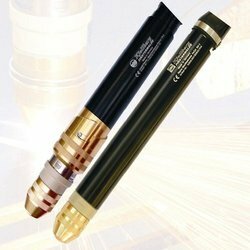 One Torch for Virtually Any Plasma Cutting System. The 1Torch RPT torch is the first plasma cutting torch that performs with virtually all plasma cutting power supplies. The 1Torch works with high frequency start systems, CD start systems, touch start systems and moving parts (blow back) start systems. Install the 1Torch on your current plasma power supply and you immediately benefit from the latest in high performance torch technology available today. Look for the Thermal Dynamics mark on your plasma consumable parts for genuine Thermal Dynamics consumables. We are suppliers for Trafimet Plasma torches and consumables. The cutting thickness is 0.5mm to 50mm. 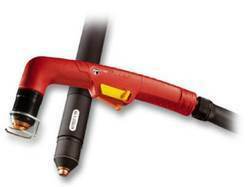 There are hand as well as machine torch available in Trafimet A101 Plasma cutting torch. 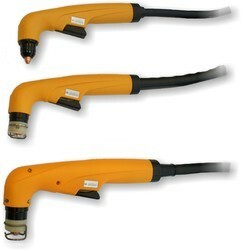 This is a complete range of air and water cooled Plasma cutting torches. The A series which includes the biggest size torches working in high frequency for striking the plasma arc. We are the suppliers of Trafimet S45 Plasma Torches and consumables. The cutting thickness of this torch is 05.mm to 20mm. 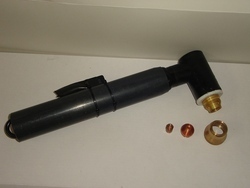 A complete range of air and water-cooled plasma cutting torches. the S series which uses the patented system for striking the plasma arc without using high frequency. a whole set of long accessories suitable especially for the cavity cutting and generally aiming to facilitate the cutting operations in narrow spaces. We are the suppliers of Trafimet Plasma Torches. 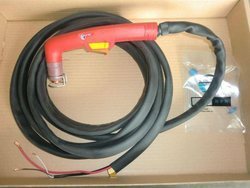 Product Name: Yuan Yang 100 Plasma Torch. We are the suppliers for Yuan Yang 100 and 200 Plasma Torches and consumables.This is a air and water cooled torch. This torch is 100 Amp and a high performance torch. It has a long life. The maximum cutting thickness of this torch is 40mm. Consumables included are: Electrode, Swril ring, Nozzle Ceramic Shield and Still Shield. We are the OEM of Hypertherm Plasma Cutting machine and consumables. 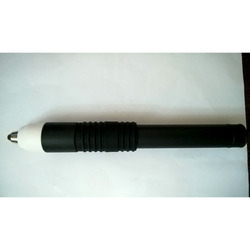 This torch is used for all series of Hypertherm Powermax. Hypertherm consumables incorporate the latest technologies to keep your plasma cutting system operating at peak performance.Hypertherm torches and consumables enhance cut quality, extend consumable life, and boost productivity – at the lowest possible operating cost. Reduce operating costs and give your HT2000 oxygen plasma cutting system a dramatic productivity boost with the quick-disconnect HyPro2000™ retrofit torch. We are the suppliers of Tianzhong 100 and 200 Plasma torch. The maximum cutting thickness of this torch is 0.5mm to 30mm.